Ed Roper, President of NJR Construction, is a firm believer that one of the greatest fulfillments a person can have in life, is to help someone else achieve something in theirs. Ed knows the hurdles everyone must jump when starting a business, but his goal is to be a voice for his fellow business owners and help take some of them down. It’s part of his mission in Paying It Forward. As a member of the Charlotte Business Advisory Committee (BAC), Ed is working to make the path to realizing your dream as a business owner an easier one. The path to realize our dreams can sometime be a little bumpy, but when there’s people like Ed out there, helping to pave the way and make it smoother for those that follow, everyone benefits. The Charlotte Business Advisory Committee is comprised of local business owners who act as advocates for the small business community in Charlotte. Their purpose is to update the City Council and City Department Managers on business conditions and provide recommendations on ways to improve the climate. 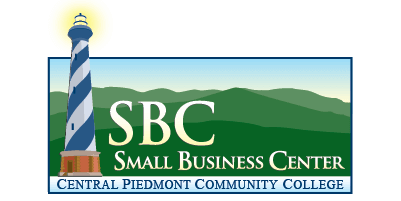 Continue reading "Social Media for Small Business"
Continue reading "Basic Accounting with Quickbooks"
Continue reading "Negotiation Skills for Small Business Owners"
Continue reading "The Latin American Chamber of Commerce of Charlotte – Seminario “Aproveche ésta primavera para comprar una casa!”"